With the holidays just around the corner, it is no surprise when you see an increase in purchases. Consumers are looking to gift their near and dear ones. In recent years there has been an increase in online shopping with people looking at reviews and various product categories online. Consumers these days not only want goods at a good deal but they also look for quality in their purchases. Google has taken steps to provide an easier holiday shopping experience for consumers this holiday season.Today’s shoppers do most of their holiday shopping from their mobile phones. A smartphone has become the go to in anyone’s holiday shopping journey. 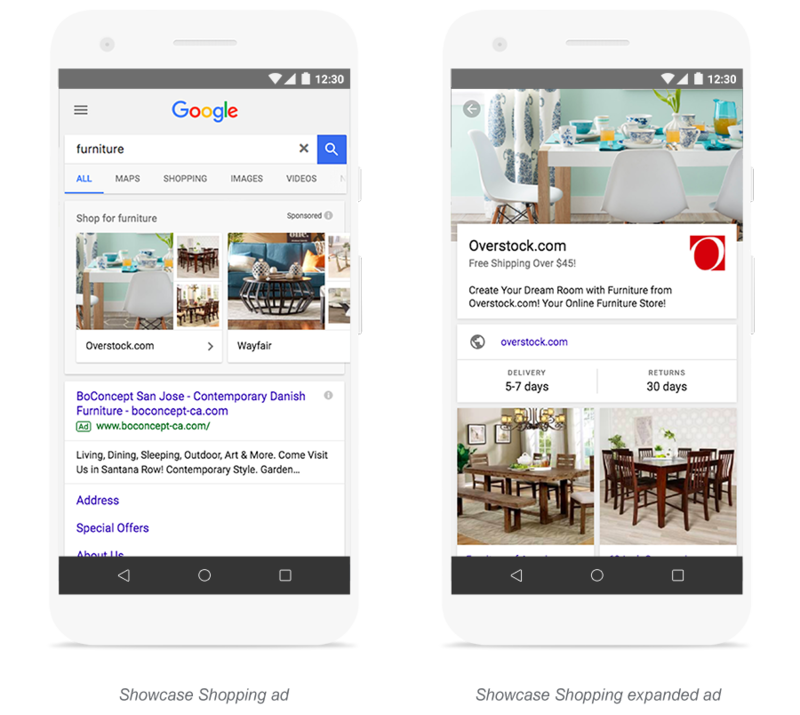 Google has taken initiatives to push physical stores inventory through ads on their search platform. Many consumers looking to gift someone this holiday season, look for items online. Many consumers know exactly what they want to give too. But there are some who still want to browse through various options. Showcase ads is for them. Google now shares various retail stores products online as an ad. So when you search for something or something based on your lifestyle various ads pop up in the search findings to give you an idea of what is out there. This then helps a consumer narrow down their search and makes their holiday shopping easier. 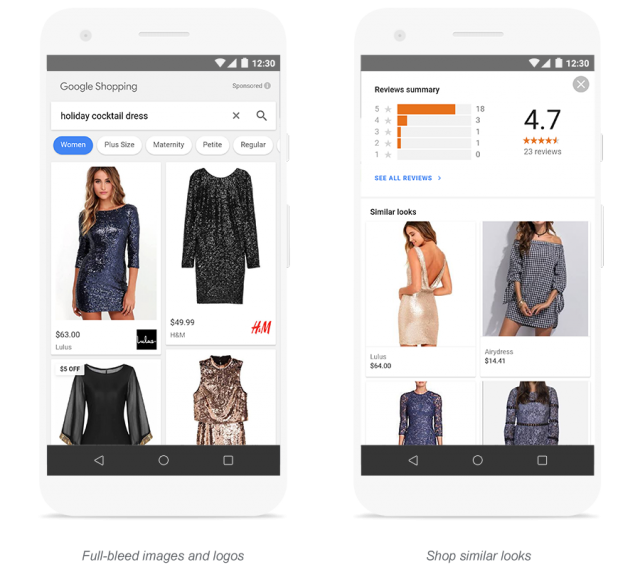 For those shoppers looking for just the right outfit this holiday season, Google has introduced an apparel search page where you can browse various outfits according to their price range, size and many other filters. Google also uses your previous searches to give you a personalized offering. If you’re one of those consumers who never get the time to buy all your gifts early in the season, you don’t have to worry anymore. Google now gives you the option of finding out what is available near you. 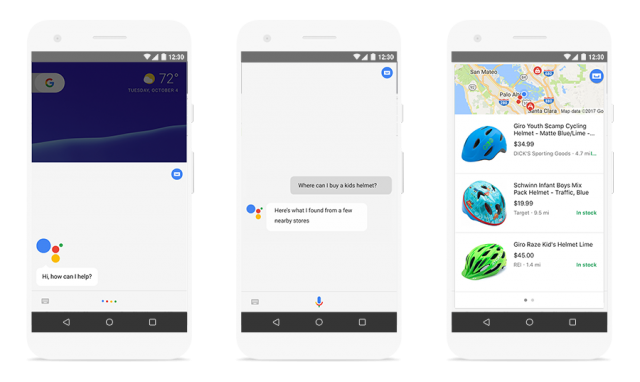 By asking a simple question of google assistant, you can now know what is available near you and where you can find it. You can now even browse a local shop’s inventory online provided that the shop has its product listing on google. With a number of unboxing videos and videos containing a consumer’s shopping in a store gaining popularity on the net, Physical stores are now seeing an increase in their sales as a result of this. Consumers not only want to buy the stuff bought by their favorite youtubers but also are made aware of sales taking place in various stores and then visit it in case of sale haul videos. Google has recently introduced location history as a way of identifying and measuring whether a click on one of their ads has translated into a purchase or not. Google has introduced the above measures in light of the increase in demand for holiday shopping. In the future Google also plans on introducing ads whereby a consumer can get to know of a sale or discounts on products previously searched by them.